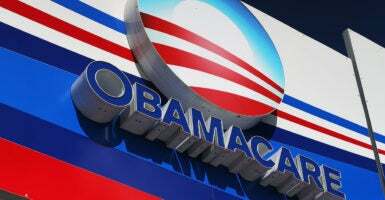 U.S. District Court Judge Reed O’Connor issued the ruling in December 2018, finding that the Obamacare individual mandate had been rendered unconstitutional due to the partial repeal Republicans passed in 2017. The ruling has been appealed to higher courts, but the DOJ endorsement could cause the ACA to be treated as unconstitutional while the case moves through the federal appeals process. “The Department of Justice has determined that the district court’s judgment should be affirmed,” the department announced in a Monday letter. “Individual Mandate can no longer be fairly read as an exercise of Congress’s Tax Power and is still impermissible under the Interstate Commerce Clause—meaning the Individual Mandate is unconstitutional,” wrote O’Connor in his opinion. President Donald Trump reacted to O’Connor’s ruling in December, praising his decision.